ENGIE has announced that it has signed a 30-year concession agreement with the Antwerp Port Authority for the development of an alternative energy hub at quays 526 and 528 at the port. The concession will take effect on 1 October 2016, and the hub’s first phase will commence operations by late 2017. The project will consist of three different parts: an LNG shore-to-ship LNG bunkering station for inland navigation; LNG and CNG filling stations for road transport; and charging stations for electric vehicles. The LNG bunker and filling station will include a standalone unit with permanent storage capacity and a flexible bunkering arm. One or more pumps can be used for the bunkering operation, depending on the volume and size of the connector on the ship’s LNG fuel tank. An LNG feeder ship will utilise the same connection for filling the LNG storage tank. The LNG vehicle filling station will involve one island with two LNG dispensers for trucks, and one island with two CNG dispensers for trucks, cars and buses. The site will also provide diesel, which will be primarily used for dual-fuel trucks. The LNG and CNG road vehicle filling stations will be developed by ENGIE in collaboration with G&V Energy. 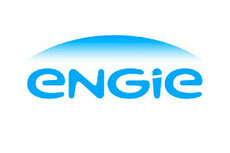 The project is a cooperative venture between various subsidiaries of the ENGIE Group. ENGIE LNG Solutions is the concession holder and commercial operator, whilst construction, maintenance and management will be handled by ENGIE Fabricom and ENGIE Cofely, respectively. ENGIE has announced that it will invest €100 million up to 2020 to establish more CNG and LNG filling stations in Europe. 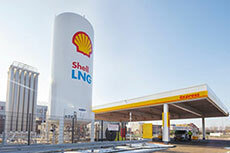 Shell has announced that it has successfully opened a fourth LNG truck refuelling station in Netherlands, which will serve delivery trucks for the Dutch supermarket, Albert Heijn. 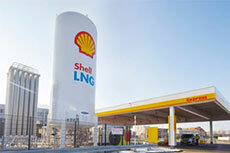 Shell has opened its first LNG fuelling station in Rotterdam, the Netherlands, for trucks operating in Europe.